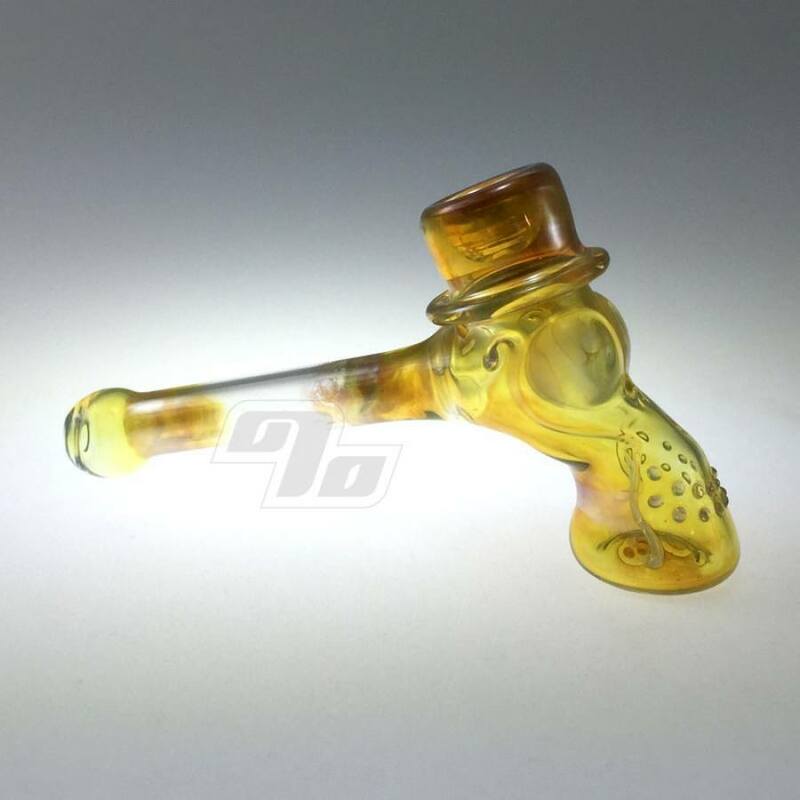 Handblown glass Snodgrass Top Hat Skull Hammer (dry). 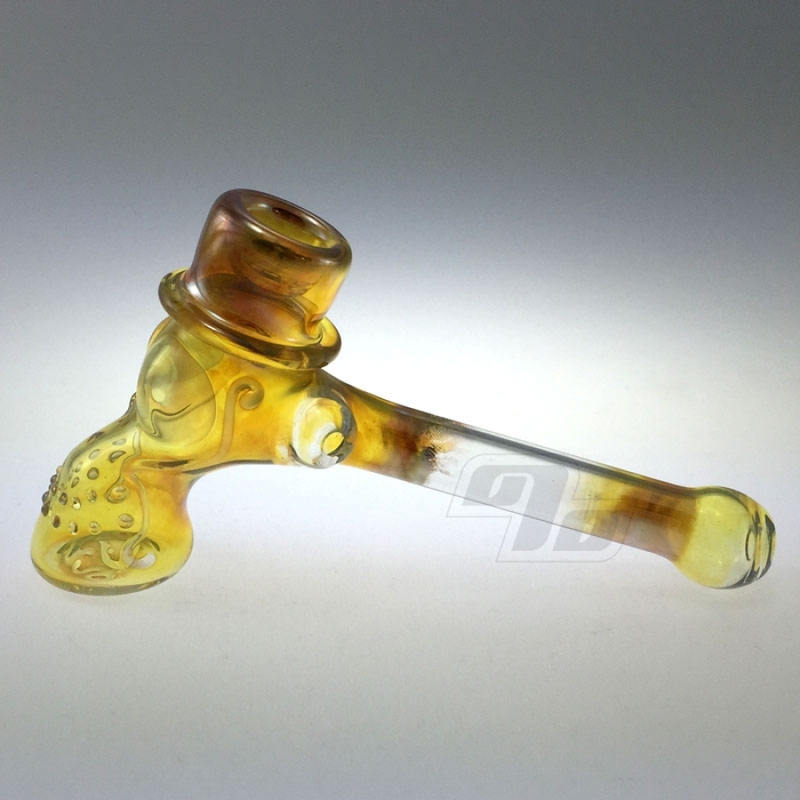 Own a small piece of glass blowing history from the Snodgrass family; the protagonist of the modern glass pipe movement. Silver fumed for great color changing to bring out Bob Snodgrass' signature skull design. Limited Availability. Runs about 5" long x 2 3/8" tall. 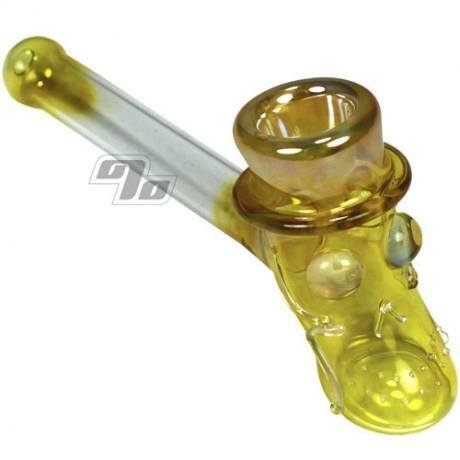 3/4" bowl for some relaxing puffing away. Note: This hammer is made by Bob's daughter, Ginny, and they're reasonably priced considering the pedigree. I have a pretty good collection of glass and I know when glass is good or bad. This is some serious artwork. Do not let the picture fool you, this is a 100% real Snodgrass Family piece, mine has Ginny's signature blown into the bottom. The pipe is beautiful, and hits like a freight train. The glass is somewhat thin though so it is definitely fragile. Don't miss an opportunity like this. Love this hammer! YOU HAVE TO SEE IT IN PERSON TO TRULY APPRECIATE IT! Very nice hammer, as said it hits wonderfully and looks gorgeous. Compliments, Mr Snodgrass. Best pipe I've ever purchased. 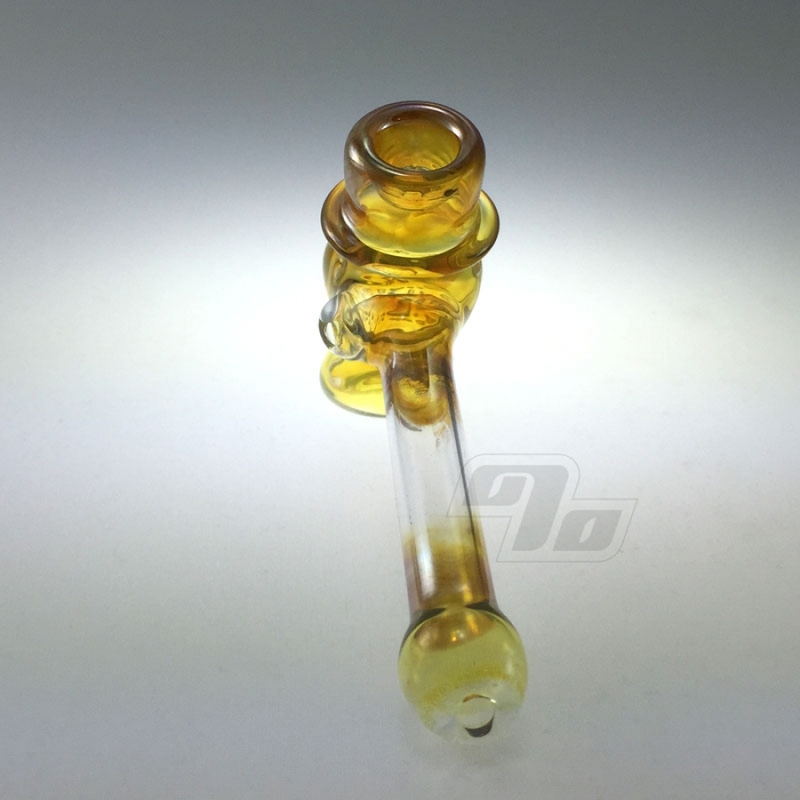 Snodgrass handblown from the man himself. Watch Degenerate Art and learn about the culture this man gave so much to.